The outstanding position of the Church on a spur of high ground, overlooking the Blackmore Vale, suggests that it is a very ancient site. 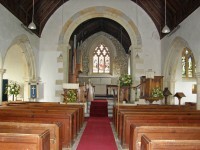 Almost certainly a church or chapel, dependent on the Manor, existed before the Norman Conquest. But Kington, from its name, may well have been part of the old royal estates of the Saxon kings long before that time. If an earlier church existed, it has left no trace, so the first historical reference comes in 1253 when Robert Waleren, the then Lord of the Manor and a noted adherent of Henry III, held the advowsen, or right to appoint a priest to the living. Presumably a church was in being at this time, for a Norman chancel arch was said to have been replaced in the Victorian restoration. A list of all the Rectors and Patrons since 1295 can be found just inside the church door in the south aisle. The ornamental pond that now lies below the church, occupies part of the late medieval fishpond with, around it, the remains of the medieval village of Kington Magna, thought to date from the 12th – 14th centuries from shards of pottery collected. This village site was abandoned after the Black Death of 1348-1350 and, over the succeeding centuries the present village evolved near the bottom of the hill. 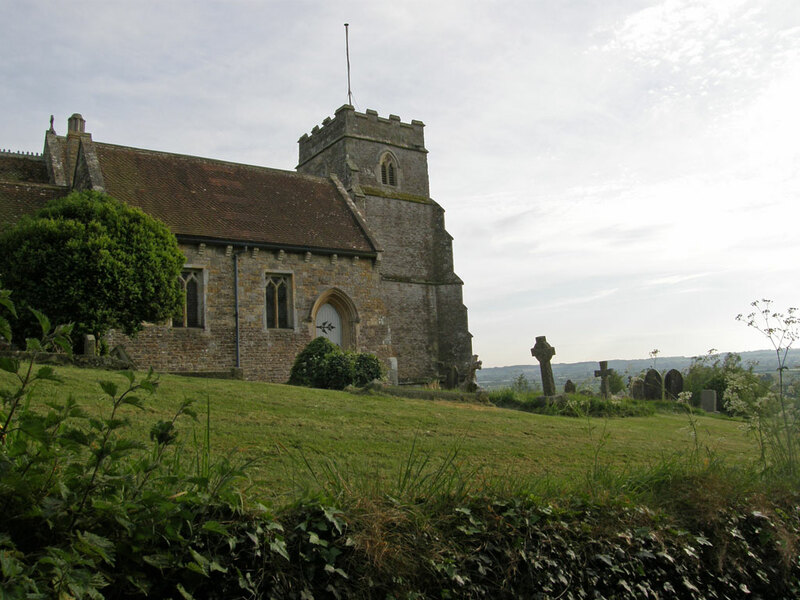 The parish lay in the Archdeaconry of Dorset, but was taken from the Diocese of Salisbury in 1542 and transferred to Bristol until 1836, when it was finally returned to Salisbury. The new building is underway! 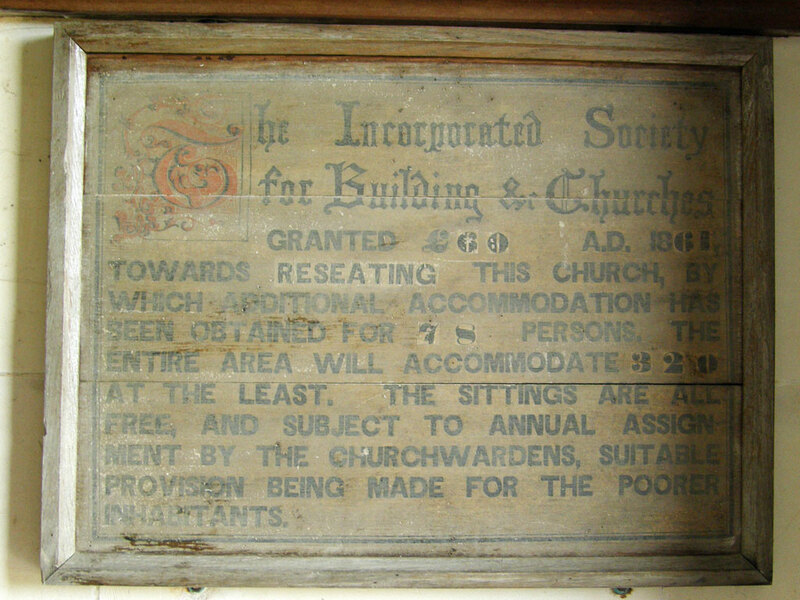 By 1861, because the church was in “…a state of general decay and being inadequate to the accommodation of the inhabitants …” it was rebuilt the following year, apart from the tower, at an estimated cost of £1215.4s.10p., with its accommodation being increased from 242 to 320, of which 112 were to be set aside for children. The former nave, aisles and chancel had all been under separate pitched roofs, with typical semi-cylindrical ceilings of the 17th century. The nave arch to the tower was previously filled with masonry and fronted by a gallery for the singers and musicians, the churchwardens having allowed ‘2 guineas to the singing master’ in 1758. 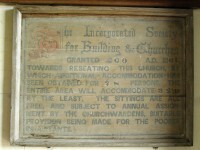 The Dorset County Chronicle described how the new church had been built in strict conformity with the original structure, apart from a new vestry and warming chamber. Many clergy had attended the Consecration of 3rd July 1862. The massive Perpendicular tower dominates the surrounding area. Built in the late 15th century, it is typical of North Dorset, with a rectangular south-east stair turret. There are three stages, with string courses between, surmounted by an embattled parapet, rebuilt in the 18th century and again since, and in which there are three belfry windows, with trefoil tracery lights. That on the east face has been blocked by the roof of the nave, presumably in the rebuilding of 1862. 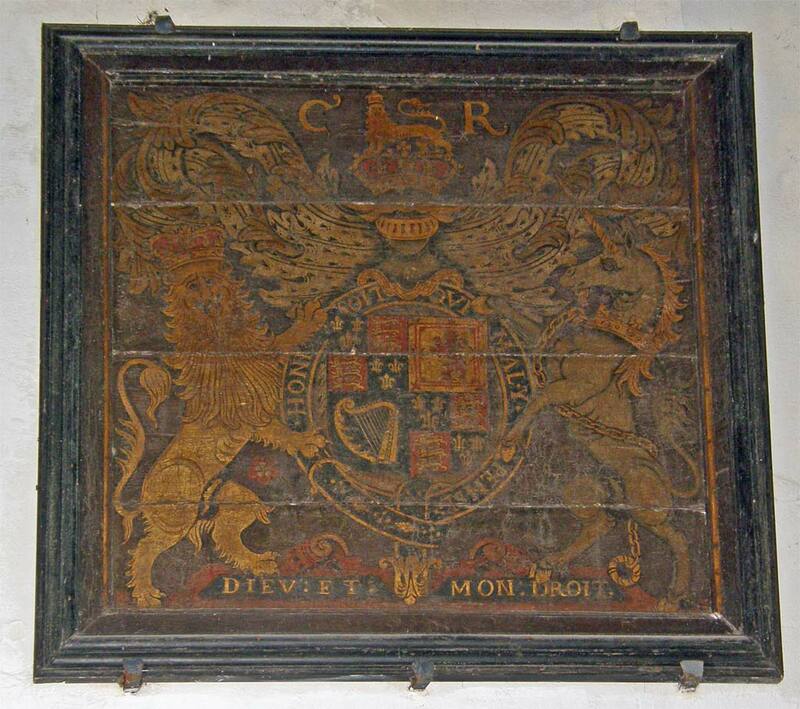 The Royal Coat of Arms of Charles II, which can be seen on the north wall of the nave near tower, indicates the link between the Community and the Monarchy after the Civil War from 1660 onwards. 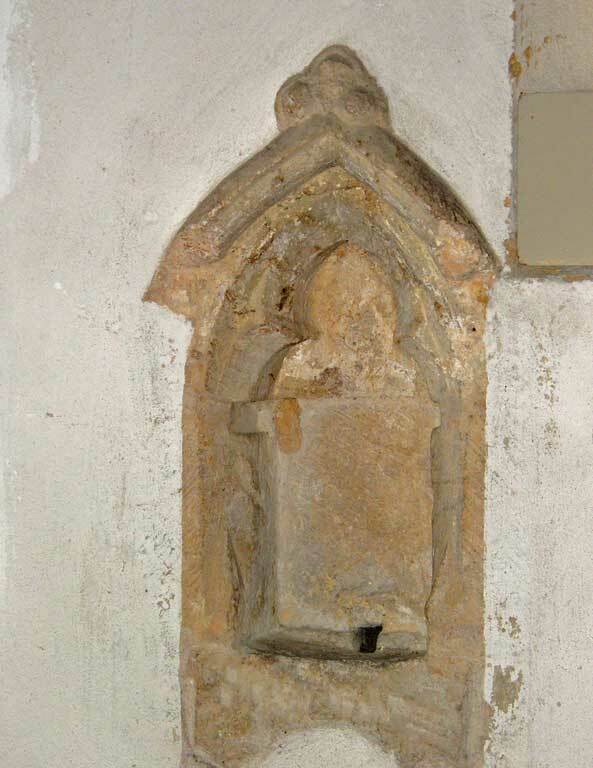 The Piscina or Stone Basin originally used for washing Communion or Mass Vessels has been reset in the south aisle. It has a trefoil head with finial, the bowl having been cut away, and can be dated to the 14th century. 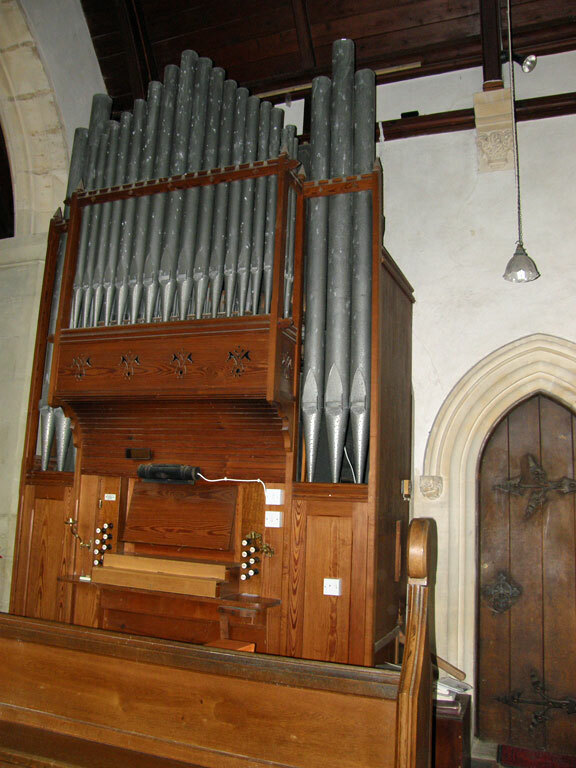 The organ can be found on the north side of the Chancel. It is a unique two manual and pedal instrument, the first to be made by John Hallett in 1867. 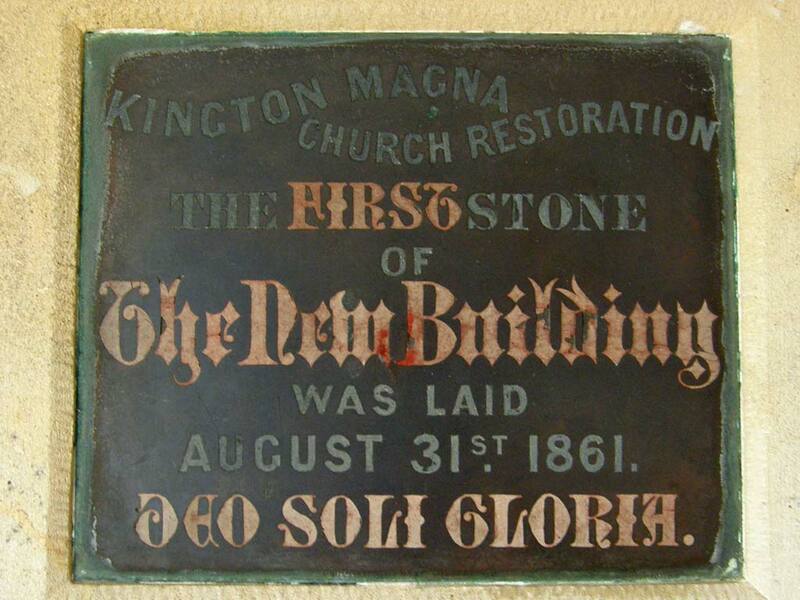 It was reconstructed by the same family in 1919, and rebuilt again by Osmunds of Taunton in 1968. The Hallett family lived in ‘Brick House’ at the foot of the hill for about 100 years, the big upstairs window – which can still be seen – allowing the organs to be lowered on to suitable transport below. 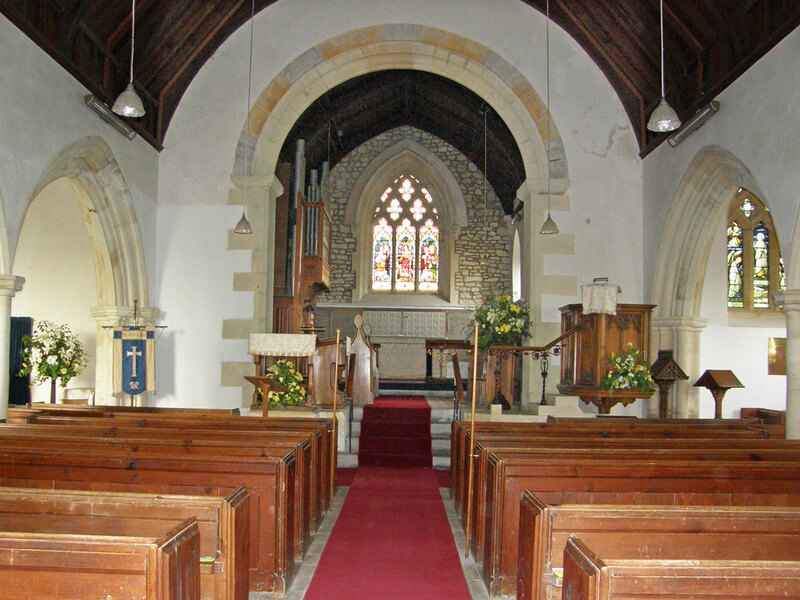 A number of Hallett organs were built in the district, including that in the former Methodist Chapel in the village. The most notable figure of the 20th Century was the Reverend Frank Llewellyn Edwards who was Rector of the Parish for 48 years. His father and grandfather had held the living before him, spanning a period of nearly 100 years from 1862 until 1956. He was well-known for his great interest and expertise in Bell-ringing and taught many in the Parish to ring, including the school children. He also presented a set of handbells which are still in use. 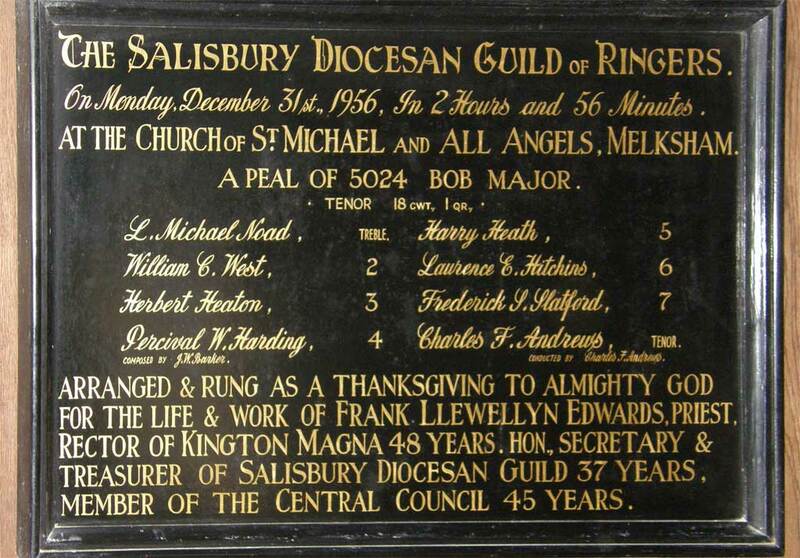 The Peal Board on the north wall of the tower records the thanksgiving rung in 1956 at Melksham Church, Wiltshire for the life of this greatly loved and widely respected man. The masonry filling the arch at the west end between the nave and the tower was removed in 1914 when the fifth bell was hung, opening the Ringing Loft to the church. Information about the Bells in the tower can be found on a separate page. A more complete version of the history of the church and its contents can be found in a guidebook available in the church or on-line. Diocesan records relating specifically to the church and its incumbents can be seen at the Wiltshire and Swindon History Centre, Chippenham.